Regular users told us the most very important factor of swimming would be to manage your breathing. To obtain this, our head should be aligned with our spine all the time. Most of the Heated Pools in West Yorkshire offer both open lanes for independent swimming and also guided activities like water aerobics or aquabike. If you are visiting West Yorkshire make sure you know the rules and regulation for swimming as they may not be exactly the same as inside your household town. Thanks to some new Swimming Pools submitted daily, Swimia.com is growing every day the number of stored pools. Please don't hesitate to contact us in the event you come across any inaccurate or incomplete facts. Please, use the contact information provided at each and every pool profile. Please check the nearest Heated Pools in West Yorkshire or Contact us to ADD IT. It's free! Whereas Yeadon is among the six most populous cities in West Yorkshire with almost 37.379 residents, you shouldn't miss that one if you're going to West Yorkshire. It's hard to visit West Yorkshire devoid of dropping by Lofthouse (with 23.458 residents). Currently Swimia is showing you all of the Swimming Pool in Lofthouse as well as the closest pools located in its vicinity. Without a shadow of a doubt, swimming in Dewsbury is the finest solution to unwind after function. 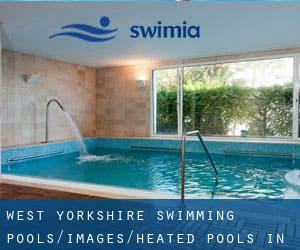 Take a couple of minutes to browse Swimia's catalog to find a Swimming Pool in Dewsbury. Let us let you know a secret to switch off though you are in Pudsey: just choose a Pool in Pudsey and plunge into the water! There's no more productive process. Long Causeway , Dewsbury , England , UNITED KINGDOM (Postal Code: WF12 8EN). Swimmers like you reported 33.3 meters, 6 lanes, Indoors. Phone number and email address are number for this Swimming Pool. Market Place , Pudsey , England , UNITED KINGDOM (Postal Code: LS27 9JB). This sports center offers 22.5 meters x 10 meters, 4 lanes, 1 meters - 3.5 meters depth, 1 meters - 3.5 meters depth, Indoors. Contact information and facts for this Swimming Pool such as phone number and email address are number. Updated on 2019 Hill Top , Knottingley , England , UNITED KINGDOM (Postal Code: WF11 8EE). Among all the activities offered by the center, if you are interested in swimming you will delight in 25 meters x 12.5 meters, 6 lanes, maximum depth 10 feet, Indoors. If you will need to get in touch with this Swimming Pool, email address and phone number are both number. Updated on 2019 Station Road , Queensbury , England , UNITED KINGDOM (Postal Code: BD13 1AB). This sports center offers 18 meters x 7 meters, 4 lanes, Indoors. For this Pool, only phone number is number here. Updated on 2019 Pontefract Road , Featherstone , England , UNITED KINGDOM (Postal Code: WF7 5AJ). Among all the activities offered by the center, if you're interested in swimming you will enjoy 25 meters x 8 meters, Indoors. If you have to contact this Pool, email address and phone number are both number. Updated on 2019 Ash Grove , South Elmsall , England , UNITED KINGDOM (Postal Code: WF9 2TE). Among all the activities offered by the center, for anyone who is interested in swimming you will appreciate 33 meters x 12.5 meters, 6 lanes, 3 meters maximum depth, 3 meters maximum depth, Indoors. If you need to contact this Swimming Pool, email address and phone number are both number. Updated on 2019 High Street , Normanton , England , UNITED KINGDOM (Postal Code: WF6 2AL). Among all of the activities provided by the center, for anyone who is thinking about swimming you can appreciate 25 meters x 12.5 meters, Indoors. If you need to get in touch with this Pool, e-mail address and phone number are both number.